For the first time since 2010, someone other than Clayton Kershaw will get the start on the mound on Opening Day for the Los Angeles Dodgers. The left-hander is set expected to begin the season on the 10-day injured list to continue getting built up. The obvious candidate to start in Kershaw’s place would be Walker Buehler, but he is not expected to pitch until later in the series against the Arizona Diamondbacks so he can get an extra start in during the exhibition Freeway Series against the Los Angeles Angels of Anaheim. Like Kershaw, he has been limited this spring due to a minor arm issue. Ryu and Hill will start Games 1 or 2 of the Arizona series, Roberts said, but he hasn’t decided which. Both Hill and Ryu would make for more than capable replacements for Kershaw and each is in the midst of a very strong spring. In four starts, Hill has pitched to a 3.27 ERA and 1.18 WHIP while striking out 11 without issuing a walk in 11 innings. He recently said this is the best he has felt during Spring Training in a long time. 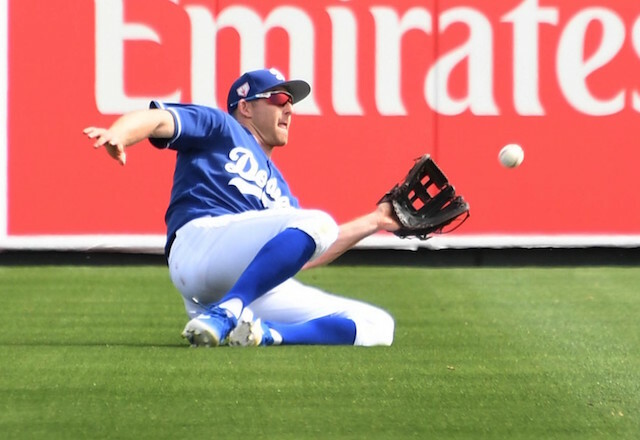 Ryu went five-plus innings in Thursday afternoon’s loss to the Milwaukee Brewers, allowing five hits and four runs (three earned) while striking out three and walking none. In five starts this spring, he has struck out 12 without any walks. With Hill and Ryu pitching the first two games, Kenta Maeda could likely follow in the third game of the series against the Diamondbacks before Buehler pitches the finale.